Woodflooring Done the Right Way! 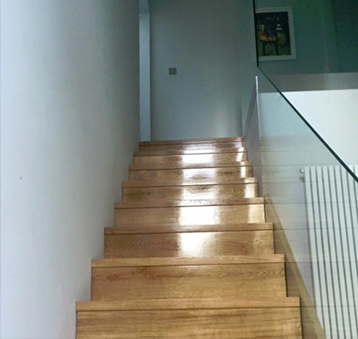 Steven Rogers Woodflooring is a family-run wood flooring company based in Warrington, with over 50 years' combined experience in the wood flooring industry. We pride ourselves on offering a 5-star exceptional service. 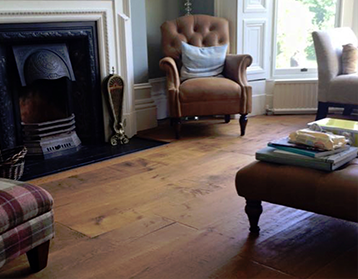 Steven Rogers Woodflooring has its own team of highly talented fitters operating from the Warrington area (mainly family members) who can install or restore your old wooden floors, giving you peace of mind that everything will meet your requirements. Our company supply and install many types of wooden and laminate flooring for both domestic and commercial clients. We also offer a wide selection of engineered flooring, bespoke floors, and products, catering to customers throughout Warrington and the surrounding areas. Here at Steven Rogers Woodflooring, we understand that your wooden floor may be your favourite feature in your home or commercial premises. Heavy footwear and years of use can cause your prized wood floor to show signs of wear and tear and it may be in need of sanding, varnishing or oiling. Our floor sanding service can simply and effectively restore your floor to its former glory, leaving you with beautiful wood floors which really stand out. When it comes to flooring services, Steven Rogers is the person you can trust. We can bring an array of samples straight to your door at no extra charge. Please don't hesitate to get in touch with any queries or questions. Call us today on 0161 460 4096 or 07970 379 643. We hope we can be of service to you soon.